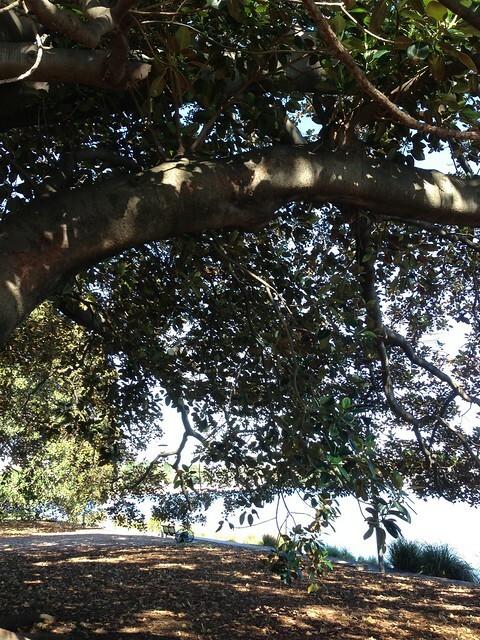 Yesterday I visited my favourite Moreton Bay Fig tree to collect a bagful of the fruit that falls to the ground. 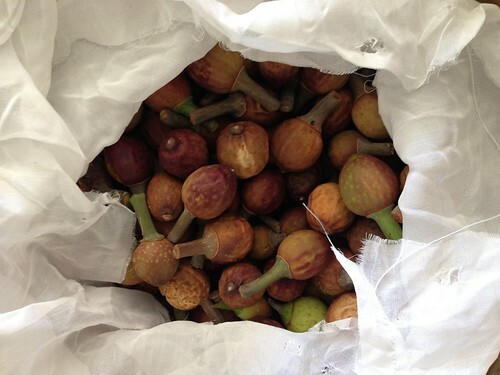 These little figs are beautiful in colour, ranging from deep aubergine to bright bright green. They have become important totems for my research, representing place and repositories for safe keeping. 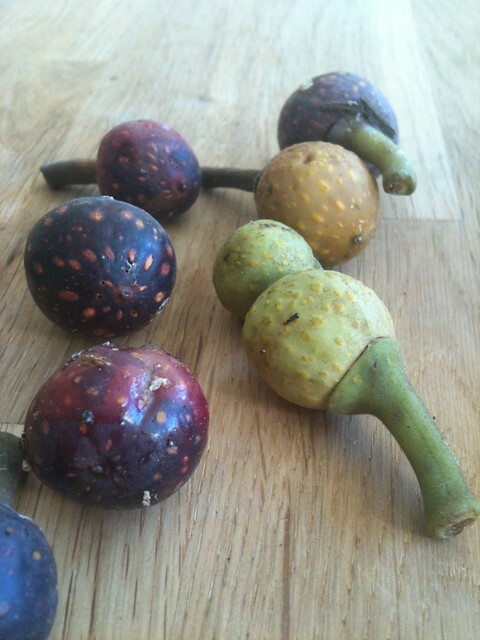 Usually when busy down on the ground scavenging for figs, someone comes along to ask what I'm collecting... I say I'm going to use them to dye fabric. Some people get quite interested and talk about other plants they know of that are "tinctorious" (a word I made up but relates to the Latin word tīnctus, past participle of tingere to dye, color, tinge). 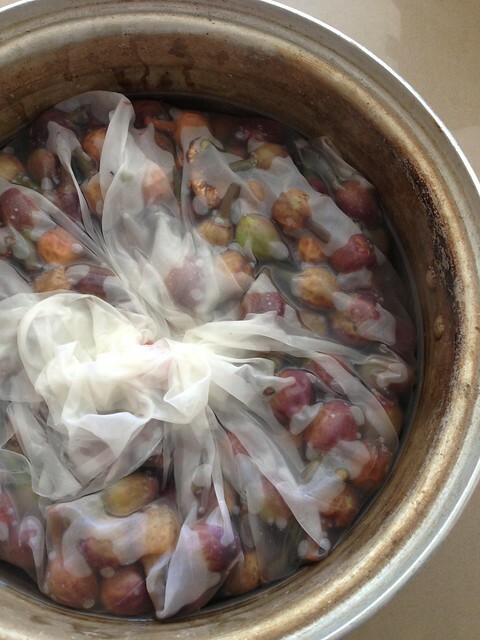 I've been boiling these figs up in my old aluminium pot and letting their colours alchemise (another made up word) and embed into pieces of silk. 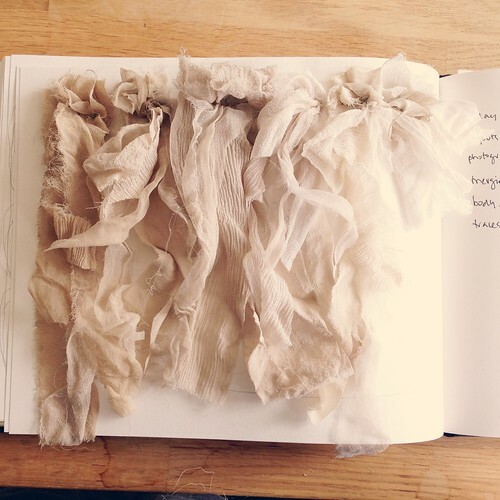 The softest colours evolve .. darker if left to soak for longer. A fruity smell, which I hoped would be delicious, but is actually quite pungent, comes from the pot. I leave it on the stove until I've had enough of the smell, then out the door it goes to sit. If Wilton is with me he has to be very patient and wait until I've gathered enough. It's usually much easier if he's back on the couch at home. I keep forgetting to re-boil the pot every couple of days, so I've had a bad case of growing mould. Hopefully this isn't too toxic!